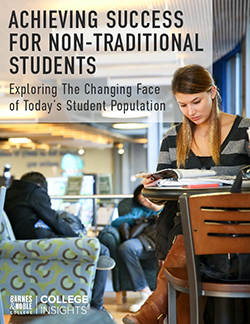 Barnes & Noble College will be among 213 exhibitors at this year’s National Association of College and University Business Officers (NACUBO) Annual Meeting, NACUBO at 50. The annual meeting will take place at the Gaylord National Hotel & Convention Center in National Harbor, Maryland (just outside Washington, DC) from July 28-31. 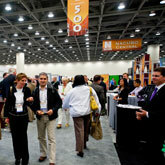 The NACUBO 2012 Annual Meeting will attract hundreds of exhibitors and attendees looking to gather ideas, find solutions, and tackle many of the problems and challenges that affect our higher-education industry and institutions. In addition to being an exhibitor, Barnes & Noble College is also proud to honor NACUBO’s 50th year by extending its sponsorship to the attendees 50th anniversary gift. 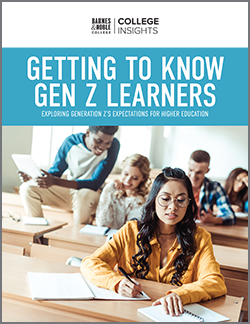 Visitors to our booth #1101 can learn more about how Barnes & Noble is delivering the GenNext experience by expanding affordable course materials, setting the digital learning standard, building deeper connections with students and faculty and delivering the ultimate shopping experience. There will also be plenty of gifts and giveaways for visitors and chances to win an award-winning NOOK Tablet™ or the new NOOK Simple Touch™ with Glowlight™. For more information on the NACUBO 2012 Annual Meeting, visit nacuboannualmeeting.org or view the 2012 NACUBO Annual Meeting video. If you are attending NACUBO, please stop by our booth #1101 to learn how Barnes & Noble can transform your campus bookstore into a destination, enhancing your students’ social and academic lives, while driving brand loyalty and valuable revenue for your school.